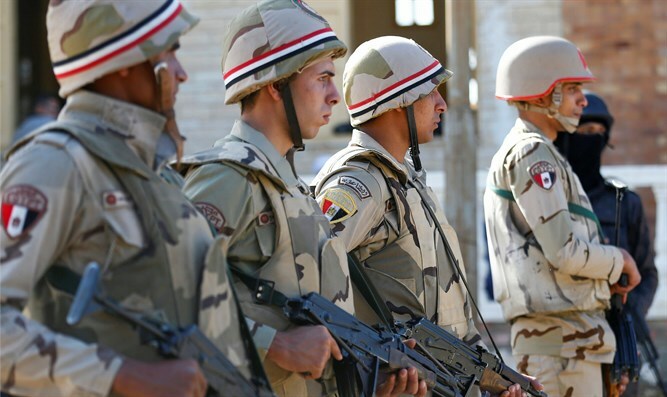 Egypt continuing its crackdown on Sinai-based terrorism. The Egyptian army said on Tuesday its forces killed three jihadists in the Sinai and destroyed tunnels at Rafah on the Gaza border as part of a vast campaign against terrorists, AFP reported. More than 200 suspected jihadists and at least 35 soldiers have been killed since Egypt launched operation “Sinai 2018” in February to rid the Sinai Peninsula of Islamic terrorists, according to the military. Operations carried out in recent days resulted in “the elimination of three takfiris,” the army said, referring to Sunni Muslim extremists. They also led to the “destruction of a number of tunnels in the city of Rafah in northern Sinai,” it said in a statement quoted by AFP. “A conscript was wounded in clashes with terrorists” and “two civilians died as a result an explosion from a device targeting forces conducting raids,” it added. The Rafah border crossing is the only entrance to Gaza not controlled by Israel, and Egypt’s sole frontier with the enclave has remained largely closed since 2013. Egyptian authorities believe these tunnels are used by jihadists to enter North Sinai. Egypt has kept the crossing closed as it blames Hamas terrorists for providing the weapons for a lethal 2014 attack, which killed 30 soldiers, through one of its smuggling tunnels under the border to Sinai. Hamas, which controls Gaza, denies the allegations. Egyptian authorities have temporarily reopened the crossing several times since that attack, mostly for the passage of humanitarian cases.